For the more-affordable price, the RIG 500 Pro picks all the right fights and ticks all the right boxes. 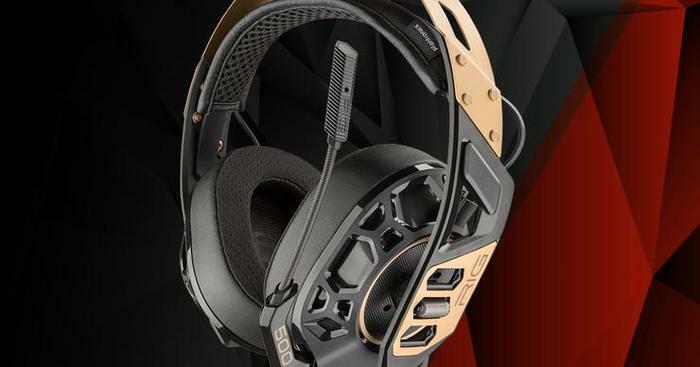 When it comes to gaming headphones, Plantronics haven’t always triumphed. But they have always had one specific, practical, edge over their competition: design. Plantronics' products tend to privilege the realities of gaming over the fantasy wrapped around it. To them, things like hi-res audio, plush materials or neon-laced aesthetics are a luxury. By necessity, they have to come second to the parts of the experience that actually matter. The tangible things that have a direct impact and effect on everyday players. The new RIG 500 Pro series embodies this approach and its associated tenets to a tee. Available in Xbox, console, PC and a universal ‘Esports Edition', Plantronics’ RIG 500 Pro are nothing if not uncompromising. They're heavy on value and fierce in their feature-set. Though it definitely has its strengths, I haven’t been a massive fan of Plantronics’ headphones in the past. Yes, the detachable ear cups found throughout the RIG range are wicked-cool. They present a new avenues for customization and increase the raw durability of the products themselves. Yet, these gains have often come at a cost when it comes to ambient noise pollution and audio quality as a whole. And that's not a price I'm keen to pay when I play games. The Plantronic RIG 500 Pro does little to address this. The caliber of noise-cancelling here was definitely better than it was in RIG 800XL. But not by enough of a margin that I’d say the hurdle itself has been overcome. A lot of outside noise still made its way into the mix, to the detriment of whatever game I happened to be playing. Still, after using the RIG 500 Pro for a good couple of weeks, I have to admit they are starting to win me over. Keeping the $200 price-tag at the front of my mind, I find it hard not to recommend them in spite of my reservations about the noise dilution. There's just-enough value-adds here to tilt the scales against the few compromises and shortcomings. 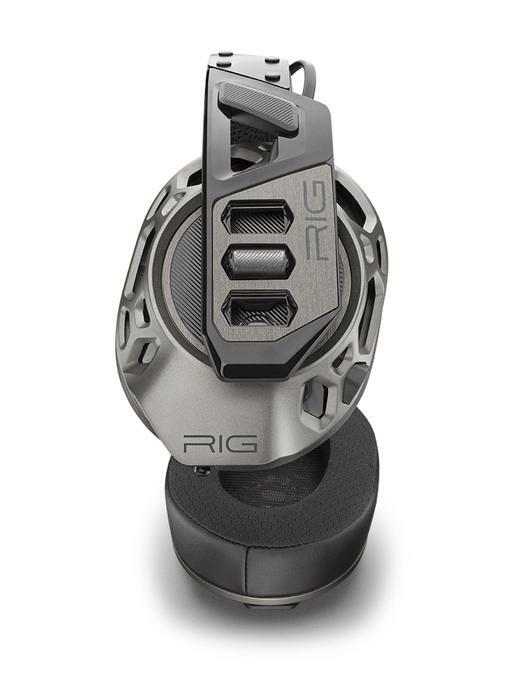 For example, the RIG 500 Pro let you actually choose between memory foam or fabric-laced ear cups. That might not sound like a big deal - but when you're in it for a long drawn out game of League, these small comforts matter. 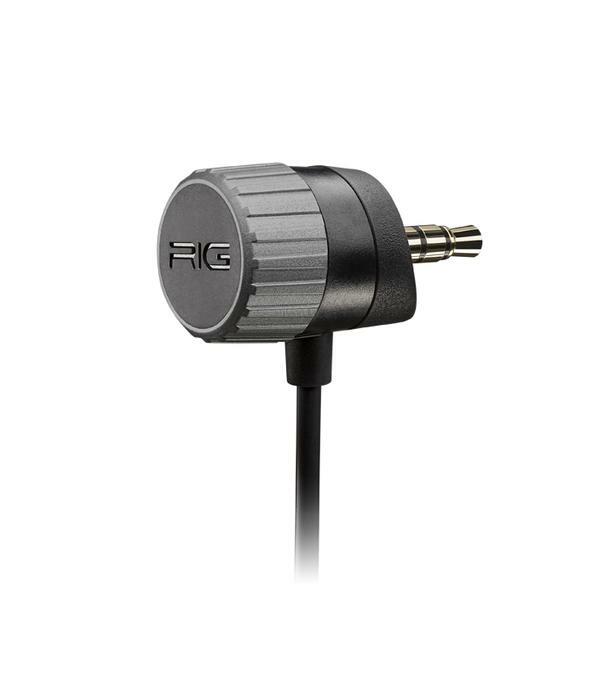 Then there's the RIG Audio Dial accessory that comes included with the RIG 500 Pro. It’s a small, ring-like nub that you squeeze between the 3.5mm audio input and the port on your controller. Once set-up, you can twist and turn the ring to quickly change the volume. It’s a small, but nifty, addition to an already great package. When used to play shooters (like Overwatch) or strategy games (like Phantom Doctrine), the RIG 500's 50mm drivers delivered a soundscape both crisp and immersive. I wouldn't necessarily say it sounded like a game-changer but, for the price, these headphones really impressed me. I could absolutely see myself using these consistently and comfortably - even over longer gaming sessions. They lack the bass radiators found in the RIG 800-series - but that's about it. When it comes to fidelity, they sound like you want gaming headphones to sound. The dialogue is clear, sound-effects feel accurately-placed and the ambient music is crisply-balanced. Unfortunately, as with the RIG 800XL, the Dolby Atmos side of the equation remains a little bit of a mixed bag. Yes, this aspect of things is a little outside of Plantronics' control. But it’s hard to emphasize it too much as a bullet-point when the list of games that support Dolby Atmos playback is as limited as it is. When it comes to Xbox One, there’s about a dozen games that have support for the feature. When it comes to Playstation 4 and Nintendo Switch, there is no support at all. When it comes to PC gaming, the onus is on the individual game developers to implement the necessary support. It's a bit of a patchwork situation that undercuts the feature as a whole even if, taken on its own terms, the feature can sound quite good. By contrast, the microphone on the RIG 500 Pro proved a somewhat more-consistent strength. It’s flexible in all the right ways, allowing you to find the right fit without too much fuss. 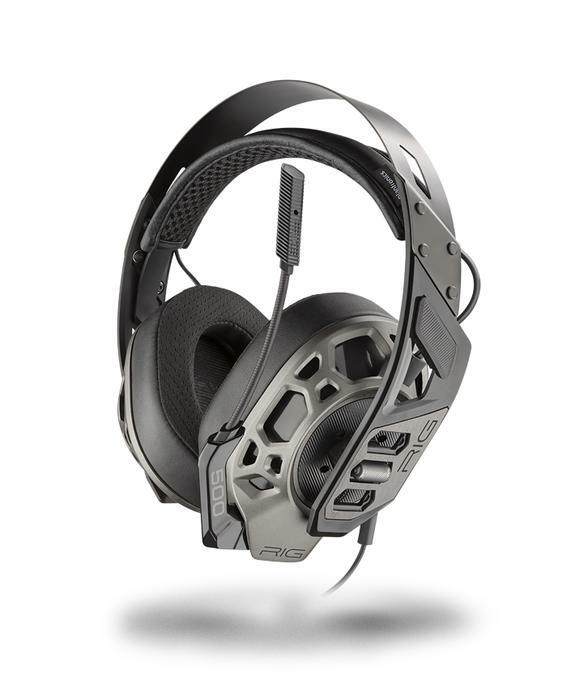 Unfortunately, it did also tend to pick up a noticeable amount of the audio coming out of the RIG 500 Pro’s ear-cups. This which wasn’t ideal - and it sometimes made in-game communication a bit more difficult than it needed to be. Like the moniker suggests, the RIG 500 Pro headphones are a sharper take on everything Plantronics have dealt out in the past. That doesn’t mean that these headphones aren’t great. But it does mean that you have to keep your expectations in line with the company’s past precedents. No, the RIG 500 Pro don’t sound as good or feel quite as comfortable as a Sennheiser. No, it doesn’t have the RGB integration of a Razer. Still, for the more-affordable price, the RIG 500 Pro picks all the right fights and ticks all the right boxes. I don’t know if I could commend the RIG 500 Pro on the strengths of few its select innovations. But if you’re looking for a gaming headset that comes pretty close to doing it all, the price makes this one a whole lot easier to recommend than most of the others.